What is a Macros Based Diet? 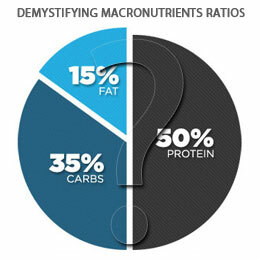 If you are reading this article, then chances are you have heard about a macros based diet. If you do not know what a macro is or how macro dieting works, I suggest reading my macros for beginners article first. When it comes to fat loss, a macros based diet has proven effective and sustainable for a great number of people. It is sustainable because it allows a dieter to have flexibility when it comes to food selection and effective in terms of fat loss as long as your target macros are below your energy or calorie requirements. However, getting started or finding your target macros for fat loss on your own is not the easiest things to do. Therefore, I have laid out a strategy for finding your target macros for fat loss in this article. This is the most important aspect of any diet. Even on a macros based diet, if your calorie or energy consumption is too high, then fat loss cannot happen; thus the importance of first finding your calorie needs. Tracking your normal caloric intake over a several day period using an app such as Myfitnesspal can give you a true estimate of your daily caloric needs to maintain your weight, otherwise known as your baseline or metabolic rate. You will need to eat less than your baseline to lose fat. Generally, most people can achieve weight loss eating approximately 10-15 times their weight in calories. For example, an individual weighing 180lbs can lose weight eating anywhere from 1800-2700 calories depending on their individual metabolism and their activity level. However, this is not an end all be all number and some may need less or more calories. In addition, as you lose weight, the number of calories required by the body aka your baseline decreases as well. Therefore, throughout the entirety of your diet, the number of calories consumed daily for fat loss will need to be adjusted every few weeks or months to account for the change in your metabolic rate to continue the fat loss process. Multiplying one’s weight by 10-15 is a good starting point for formulating a macros based diet, but remember this number will need to be adjusted based on your progress or lack thereof. If you are wondering how macros relate to calories, you can think of macros as a more precise way of counting calories as carbohydrates and proteins contain 4 calories per gram while fats contain 9 calories per gram. Protein is a key macronutrient because of its usage by the body to repair, maintain, and grow muscle tissue. Without it, muscle growth and/or retention during a fat loss stage would not be maximized to its fullest ability. Therefore, having an adequate amount of daily protein is of grave importance. The amount of protein needed by an individual is one that is highly debated. The American College of Sports Medicine recommends 1.2-1.7 per kilogram of bodyweight for strength training athletes while most fitness experts would recommend 1 gram of protein per pound of bodyweight. This leads us with a range of 98-180 grams of protein for an individual weighing 180lbs. Because fat tissue is comprised of triglycerides and protein is not needed for its structure, my personal suggestion is to consume 1 gram of protein per pound of LEAN body mass. Using a 180lbs individual with 20% body fat as an example, we can calculate 146lbs of lean mass (180lbs-36lbs); thus I would recommend 146 grams of protein daily. To find your personal protein intake, multiply your bodyweight times your body fat percentage, and then subtract the product from your bodyweight. Because both of these macronutrients’ primary function is to provide energy, personal preference is involved when calculating these macros. Since carbohydrates can be stored in the body for rapid energy release which is critical during periods where the body needs immediate energy such as weight training, I feel consuming a higher percentage of calories from carbohydrates than fats is more optimal for workout performance and muscle retention. Although fats provide the body with energy, it is converted at too slow of a rate to support the energy muscles need during weight training. 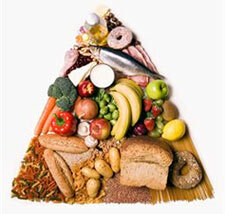 Despite carbohydrates role in workout performance, sustainability is the number one success factor for any diet. Therefore, if an individual enjoys consuming a higher-fat lower-carbohydrate diet, then that is what makes the most sense for his or her long term success. 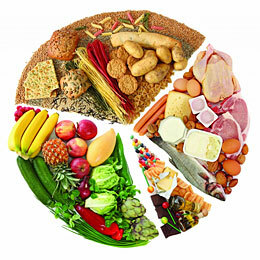 Finding your daily carbohydrate and fat macros will depend upon your daily caloric and protein intake. Once you have determined your daily calorie and protein requirements, you can divide the remaining calories between fats and carbohydrates as you please. For a 180lbs individual consuming 1800 calories with 146 grams of protein daily, this leaves a 1216 (1800 calories -584 calories from protein (146*4)) calorie allotment from carbohydrates and fats. With 1216 calories remaining, I recommend using your bodyweight or up to 2 times your bodyweight for higher calorie diets for your daily carbohydrate intake and using the remaining calories for fat intake. Using our example 180lbs individual this means 720 calories (180*4) from carbs leaving 496 calories from fat. Divide the remaining calories by 9 to find the target of 55 grams of fat daily. This leaves the target macros for our 180lbs individual at 180 grams of carbohydrates, 146 grams of proteins, and 55 grams of fat with a daily caloric intake of 1800 calories. To find your personal carbohydrate intake, multiply your bodyweight times 1 or 2 depending on your calorie intake or personal preference. To find your personal fat intake, subtract your daily protein and carb calories (grams times 4) from your daily calorie goal and divide the remaining calories by 9. As mentioned earlier, the target caloric intake and thus the macros making up that intake will need to be adjusted based upon results and goals. Still, this article should serve as an excellent guide to get you started in calculating your initial macros for fat loss. In addition, note that these are my personal recommendations for finding target macronutrient intakes and the recommended daily consumption of each macronutrient is ongoing debate. However, as long as you consume the right amount of daily calories, you will lose fat regardless of the macronutrient breakdown. Therefore, find the macronutrient combination that works best for you as that will ultimately lead to sustainability and fat loss as long as you stay within the proper calorie range.